American Free Style is a very modern and diverse style of Karate. At National Karate MMA, our students learn hard style techniques of Japanese Karate, explosive kicking dynamics of Taekwondo, powerful punching skills of Boxing, and grappling techniques of Jiu Jitsu. Although we have a high regard for the origin and teaching methods of the traditional martial arts, we are not bound to one art or system. Our mixed martial art (MMA) style is always expanding in knowledge and training concepts. American Free Style utilizes aspects of many different arts and blends them into a very adaptive and effective method of self-defense and fitness training. MMA is a fusion of martial art styles into one explosive and effective form of combat. Combining stand up, clinch and ground fighting, MMA prepares you for the street or the cage. Karate is an introspective art form of martial arts that predominantly involves punching, kicking, and striking. Many parents choose to sign up their children for Karate at National Karate because it teaches confidence, perseverance, and self-defense skills. Karate at National Karate MMA in Summerville is also a great atmosphere to be in where you can succeed, gain self-esteem, and learn to never give up. We give you the skills you need to feel confident in your ability to defend yourself against any threat. We practice and practice to ensure that your muscles and body remember how to defend and counter any aggressor. One of the main benefits of Karate is improving your strength and balance. Karate consists on punching and kicking, which helps practitioners strengthen both upper and lower body muscles. This martial art utilizes your core strength while working on your flexibility and power. Karate can also help greatly improve coordination and endurance. Obesity is a serious problem in the United States, so a brand new workout to your routine will greatly help. At National Karate MMA, we know the importance of a healthy mind and body, so introducing yourself to martial arts is a great way to combat obesity and promote weight loss. In Karate, you’ll burn hundreds of calories in each class, develop lean muscles, and boost flexibility. Karate is a high-energy training class that is great for weight loss. National Karate MMA is dedicated to empowering you with the confidence and self-esteem needed to succeed in everyday life. Karate can bring out the positive qualities that have always been a part of you, whether that is inner calm, positive mental attitude, patience, or self-discipline. Karate will help you overcome fear, anger and self-doubt, and leave you feeling confident in any situation. Karate helps build mental toughness, teaches the value of hard work, and gives you the persistence you need in everyday life. Many members at National Karate MMA have said that Karate is also a great stress-relief from school or work because it helps take their mind off problems they are facing so they can focus all their thoughts into striking the target in front of them. It is a workout where you have to have endurance to execute all the various kicks and punches until the end of class. By engaging your brain during class, Karate can help provide a completely different workout that you won’t find anywhere else. 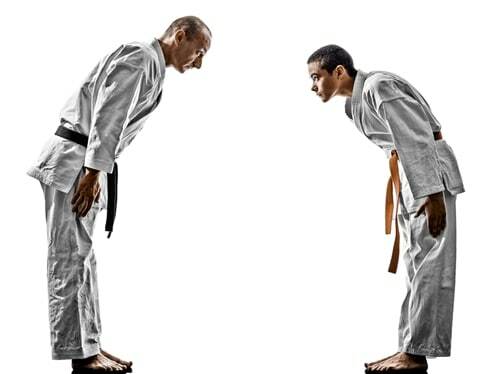 In Karate, students are taught how to help each other out in class. Whether that be to help hold boards to break or targets for you to kick even to being sparring partners. By creating a bond of trust and reciprocation, you and your sparring partner can then practice various striking combinations on each other and see how to make them work. Members at National Karate MMA have become close friends and help each other reach their goals. We are dedicated to empowering you with the physical and mental fitness needed to succeed in everyday life. The National Karate MMA in Summerville will positively change you. Are you ready to take the next step towards a more healthier, confident, dedicated life?